Each box contains 5 single-use transparent plastic packets (6g) each. 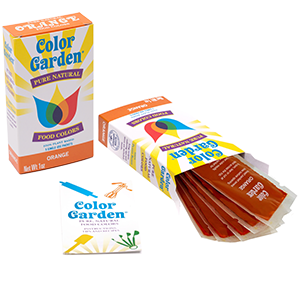 Each individual packet delivers enough color for one medium-sized cake or approximately 16oz of frosting. 100% plant-based pure, natural color. Includes insert with icing recipes, coloring tips and more. Ingredients: Beet Juice, Beta Carotene. 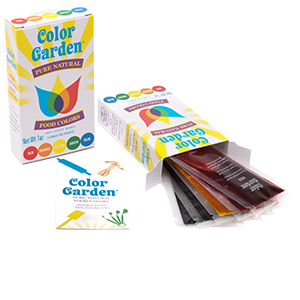 All colors contain less than 1% ethyl alcohol to preserve freshness. Ingredients: Beta Carotene, Beet Juice. 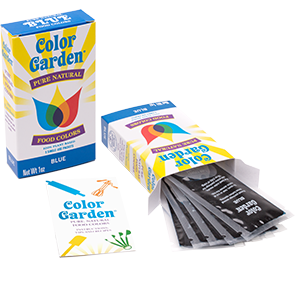 All colors contain less than 1% ethyl alcohol to preserve freshness. Ingredients: Turmeric. Contains less than 1% ethyl alcohol to preserve freshness. Each box is Net Wt. 1 oz. Ingredients: Red Cabbage Juice, Turmeric, Baking Soda. 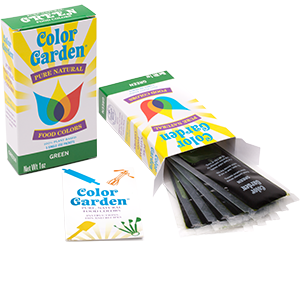 All colors contain less than 1% ethyl alcohol to preserve freshness. Ingredients: Red Cabbage Juice, Baking Soda. 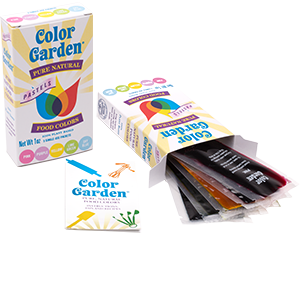 All colors contain less than 1% ethyl alcohol to preserve freshness. Five single-use transparent plastic packets (6g) each. Ingredients: (RED) Beet Juice, Beta Carotene; (ORANGE) Beta Carotene, Beet Juice; (YELLOW) Turmeric; (GREEN) Red Cabbage Juice, Turmeric, Baking Soda; (BLUE) Red Cabbage Juice, Baking Soda. 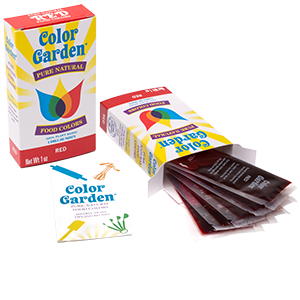 All colors contain less than 1% ethyl alcohol to preserve freshness. Ingredients: (PINK) Beet Juice; (PURPLE) Purple Grape Juice; (YELLOW) Turmeric; (LIME GREEN) Spirulina, Turmeric; (SKY BLUE) Spirulina. 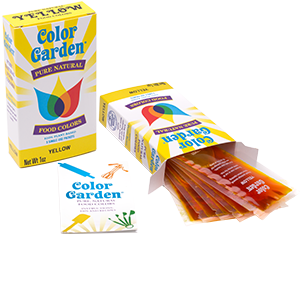 All colors contain less than 1% ethyl alcohol to preserve freshness. 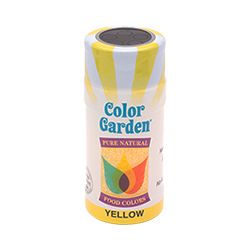 •3oz bottle of Naturally Colored Sugar Crystals. 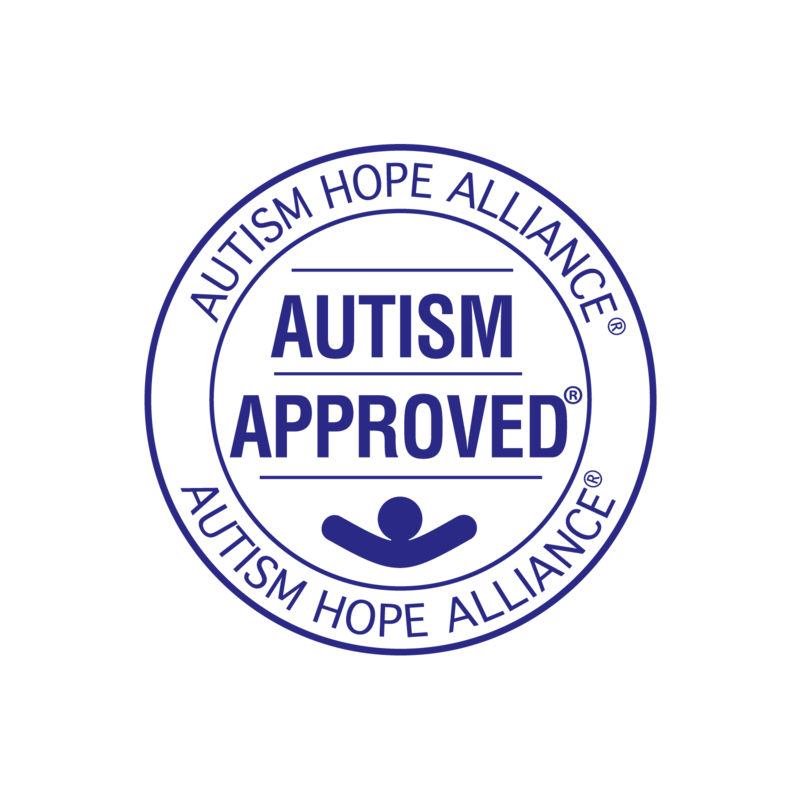 •Each bottle has a shaker top for easy dispensing and decorating. •Perfect for topping any dessert. 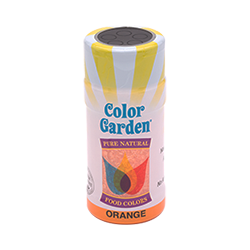 •Sugar is colored with 100% plant-based pure natural food color. Ingredients: Sugar, Carnauba Wax, Beet Juice and Turmeric. Ingredients: Sugar, Carnauba Wax, Beta Carotene. Ingredients: Sugar, Carnauba Wax, Turmeric. 3oz bottle of Naturally Colored Sugar Crystals. Each bottle has a shaker top for easy dispensing and decorating. Perfect for topping any dessert. 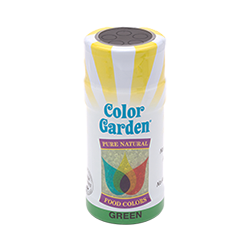 Sugar is colored with 100% plant-based pure natural food color. Ingredients: Sugar, Carnauba Wax, Spirulina and Turmeric. Ingredients: Sugar, Carnauba Wax, Spirulina.